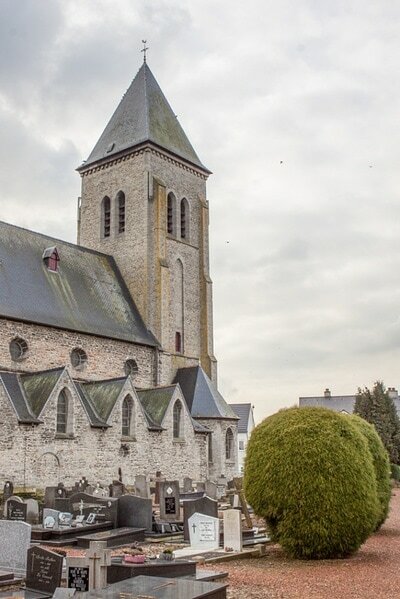 The village of Petegem (Peteghem) is located south-west of the town of Oudenaarde on the N453. From the motorway E40/A10, which runs between Oostende and Brussels, turn off at junction 15 onto the N60, direction Oudenaarde. Follow this road to Oudenaarde and the junction with the N453. Turn right onto the N453, direction Petegem, then turn right off the N453 into Petegem. 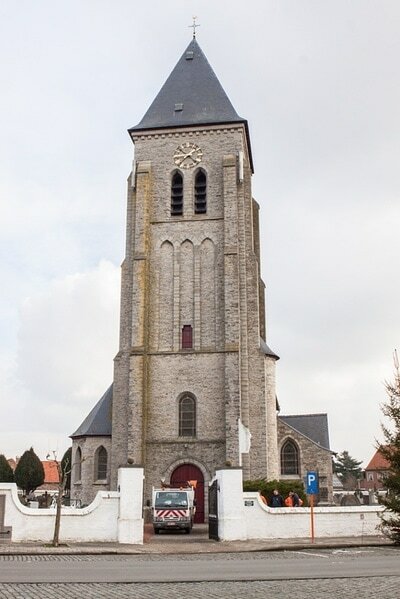 The church is on the right in the village centre. The graves are located to the left of the church. 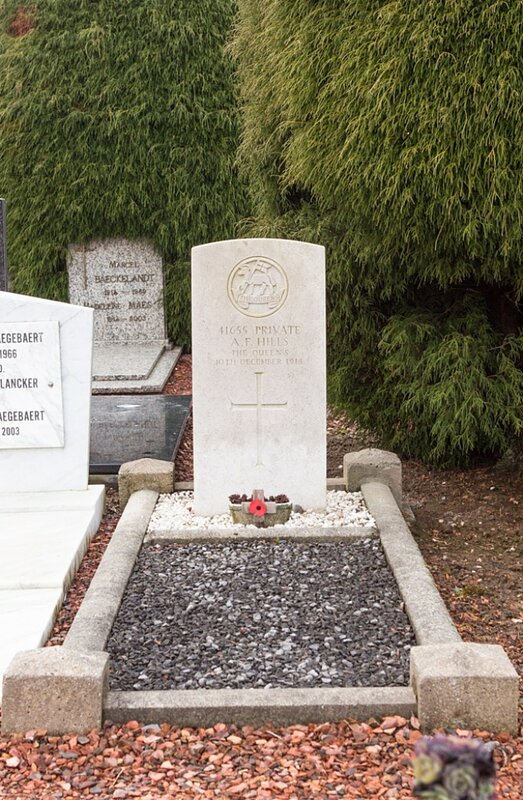 Petegem Churchyard contains one Commonwealth burial of the First World War. 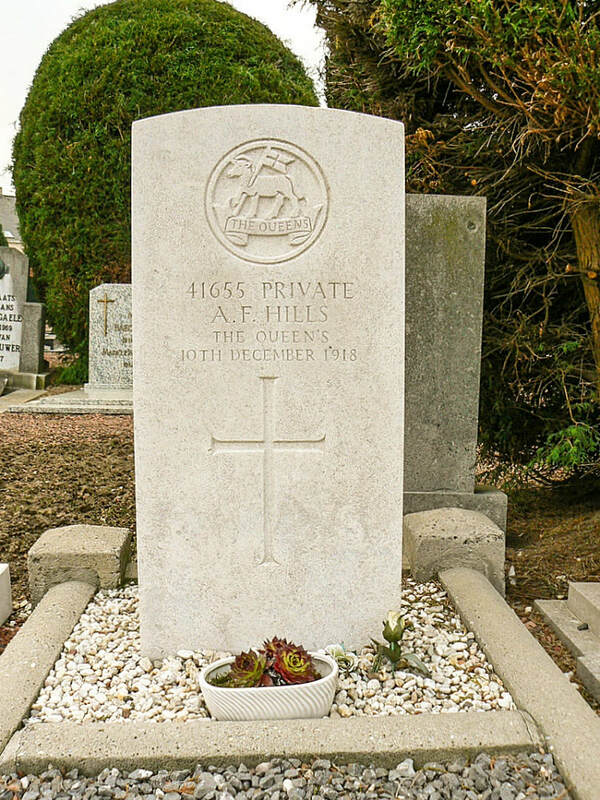 41655 Private A. F. Hills, The Queen's (Royal West Surrey Regiment), transferred to (6819333 1st Coy. Labour Corps, died 10th December 1918.